We survived our plane trip to Melbourne despite our flight being cancelled and having to travel in the middle of the night. All those carefully planned activities for the children (ideas here, here and here) weren’t even touched as the youngest 3 were snoozing both on the way there and on the way back! Oh well, there were plenty of times during the conference itself that the twins enjoyed their activities while having some quiet mat time during the day. We were home just in time to finalise all our new year school plans for our moderator visit this week and to continue getting organised for our new addition as that due date is looming ever closer. 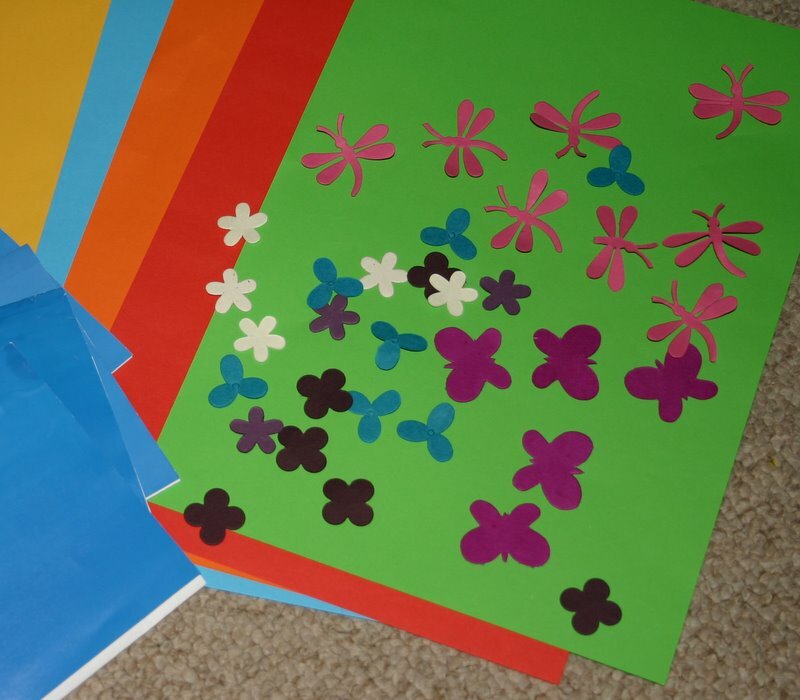 If you are looking for ideas to keep a toddler well occupied while you school older children, then stickers, glue and cutting have always been a big hit in our family. The stickers and coloured paper are separated into separate sheet protectors so the toddler can take out just what is needed for that morning (and to stop all the stickers being used in one day!) After the stickers are stuck they draw on the paper as well and some quite interesting scenes have been created. For a younger toddler, I set stickers out in individual zip lock bags with an interesting item to stick them on to. This is for the age where just getting the stickers off the page and onto something is quite time-consuming and absorbing in itself. This picture shows 10 weeks worth of sticker activities. One morning a week was designated as "sticker day" and that kept the activity fresh and interesting. Card tubes, paper plates, bottles and any other interesting containers are great. Another quick and easy to prepare activity is gluing. I filled old photo envelopes with an assortment of pre-cut paper shapes (from the scrapbooking isle at K Mart) and put each with a sheet of coloured paper. A glue stick completes the activity (I use the blue glue sticks so the toddlers can see where they are putting the glue) and away they go. 10 used photo envelopes, 10 sheets of paper and a bunch of paper shapes to glue equals 10 weeks worth of happy toddler fun during school time with the older children. Again, one morning a week is "Gluing day" to keep it fresh and interesting. The cutting activities I used this year came from a variety of sources on the web. I googled “free printable cutting activities” and just printed away! Lots of dotted lines to cut on, pictures to cut out etc. For a younger toddler, see “Teaching toddlers to cut” for ideas on how to set up their cutting activities.